Following this week’s sports-focused T-Mobile Tuesday — don’t forget to claim your free MLB.TV subscription if you haven’t already! 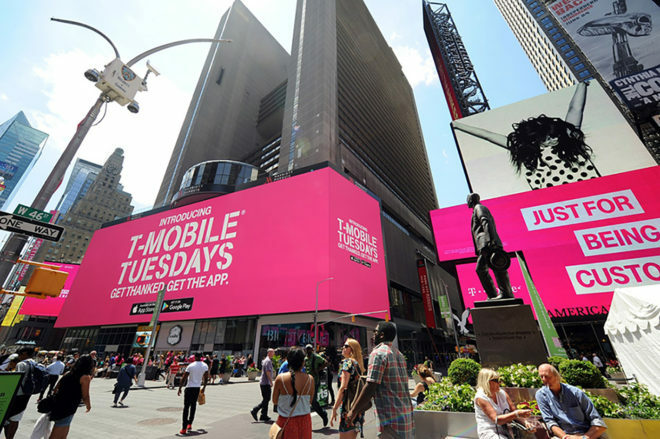 — T-Mo has now revealed what it’s got in store for next Tuesday. On Tuesday, April 2nd, T-Mobile customers can score a $20 dining credit from Dining Advantage and 10 free photo prints at CVS Pharmacy. Those deals are in addition to the $0.10 per gallon gas discount from Shell and free taco from Taco Bell that T-Mobile Tuesdays offers every week. Next week’s grand prize is a trip to the 2019 Billboard Music Awards. One winner will receive a trip for two to Las Vegas from April 30th to May 2nd which includes round-trip airfare, two nights in a hotel, ground transportation between the airport and hotel, and two tickets to the BBMAs, including access to the Party on the Carpet and the after-party. The winner will also get $500 in spending money and a check for $2,447 to cover taxes and other expenses. What taco? The redemption link in the app hasn’t worked for me in weeks. Keeps glitching.